Free training for women – learn how to be your own boss! 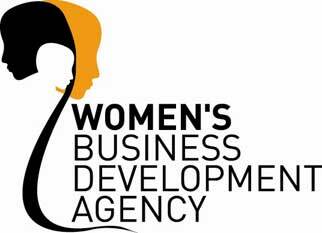 The Women’s Business Development Agency are running FREE, fun and informal workshops, for women living in North Devon, West Devon, South Hams and Torridge. Ideal for women who fancy doing something a little bit different! You’ll be given all the knowledge, skills and confidence needed to generate and develop your own business ideas. Even if working for yourself is the last thing on your mind, motivational and business skills training will help boost your promotion prospects, or help you get that job you really want! It doesn’t even matter what skills or qualifications you may or may not have – the Women’s Business Development Agency will show you how to get your idea off the ground and give you the confidence and motivation to make your next move. Free workshops run over 4-days from 10am until 2.30pm and financial assistance is available to cover travel costs and dependency care costs. Workshops concentrate on building confidence, learning new life skills, managing stress levels and developing business ideas. Women attending will learn how to make a business idea into a marketable business, and how to develop your own viable business plan. Starting up your own business isn’t as difficult as you might think. Whether you already have a business idea but lack the skills and know-how to progress it, or you’ve never even considered working for yourself but fancy improving your potential and doing something different – this 4-day programme could be just the start you need. Call The Women’s Business Development Agency on 02476 236 111 to book your place on a workshop near you.